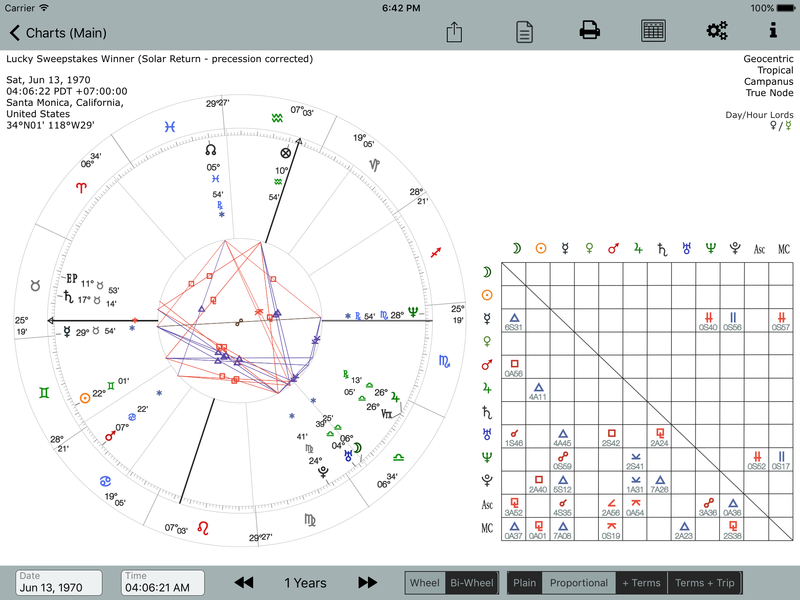 In this post I wanted to ‘prove’ to my own satisfaction and to anyone interested that AstroConnexions can and does provide accurate Natal and precession-corrected Solar Return charts. To do this I once again take my inspiration from the most excellent Skyscript website. 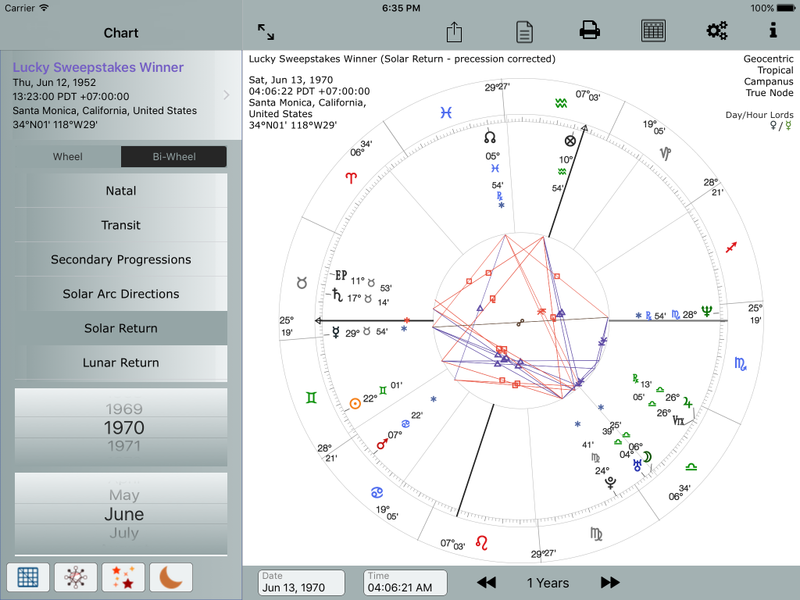 I have read dozens of astrology books and hundreds of astrological articles. 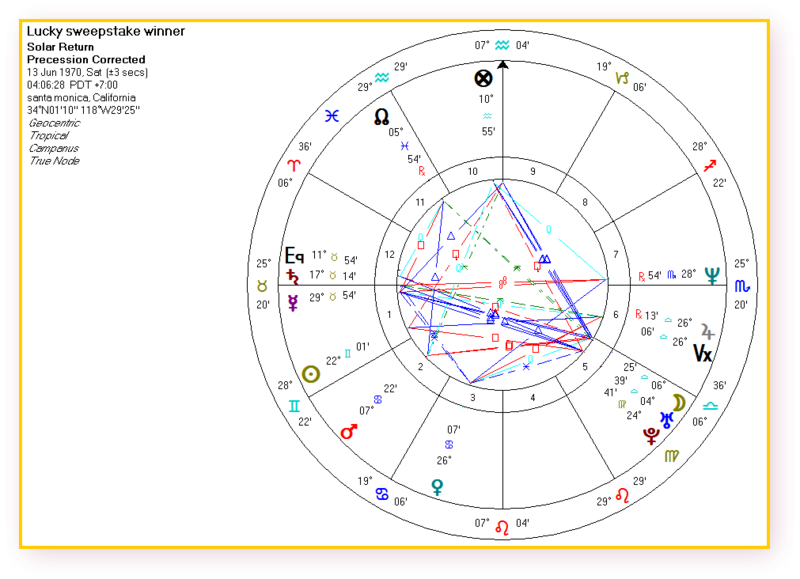 With my astrological experiences, Jim Eshelman’s book ‘Interpreting Solar Returns’ offers important astrological Keys for the astrologer to seeing/understanding the methodology/techniques Cyril Fagan used for Solar Returns. The following link http://www.freeconsiderations.com/ has an article by Ken Gillman about an Irish Sweepstakes winner of $120,000, on Oct. 3rd 1970. This article can be read in Volume 5, #3, page 16, titled Chart 6, Lucky Male Sweepstakes Winner. 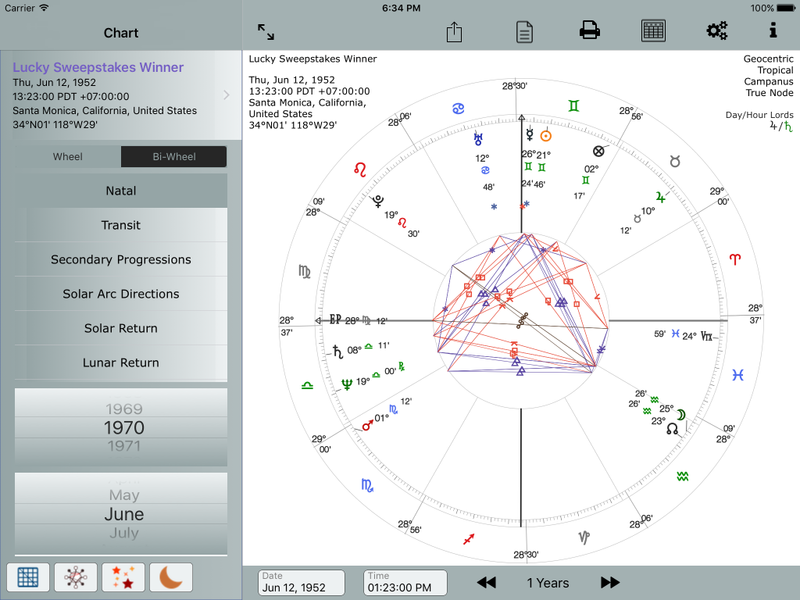 Birth data: June 12th 1952, 1:23 PM PDT, Santa Monica, Ca. 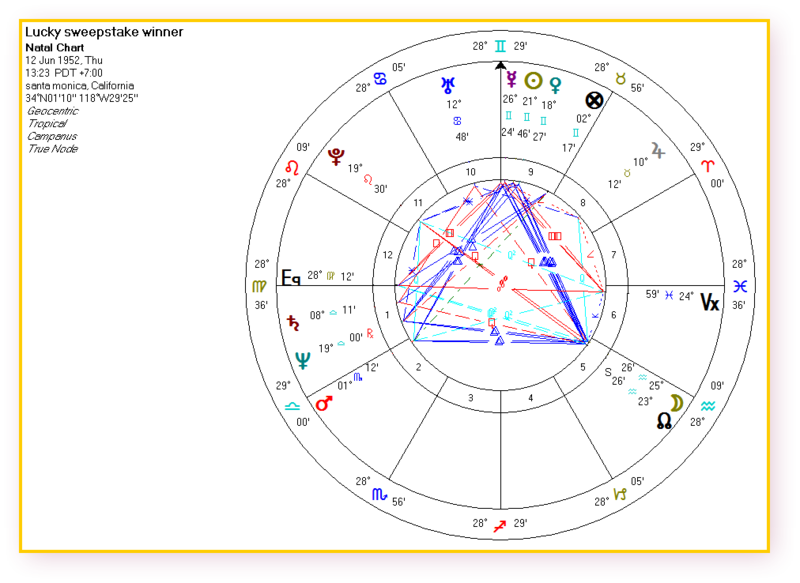 He presents a Solar Fire chart: a Solar Return precession-corrected for 1970, Santa Monica.